The newly assented anti-gang law takes aim at children who are gang leaders and gang members, and also penalises parents for failing to keep their children away from gangs, and protecting them. The law will be reviewed by police this week, especially the Organised Crime and Intelligence Unit (OCIU), to ensure officers are fully aware of its provisions. 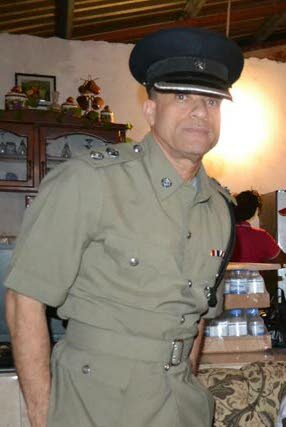 ACP (Crime) Irwin Hackshaw said the legal unit would provide “informed opinions”, regarding children deemed to be gangsters, and their parents. Some have suggested the provision is too aggressive. The clause referred to is Section 12. (2) where the gang leader or gang member is a child. The law makes no distinction between a child or adult gangster, and as such, a child can be sentenced to 25 years on conviction for being a gang leader, or ten years for being a gang member. A child is defined by the law as anyone under 18. The law also covers parents who will be held responsible for their child who falls into criminal activities. Criminologist Darius Figueira told Sunday Newsday the choices a parent faces is either jail for their child accused of being a gang member or leader, or saying they tried and failed to steer the child away from a life of crime which may have fatal repercussions. He said gangs control the communities they operate in and it is difficult to break free from their clutches and felt this part of the law puts the parents in a difficult position. “The people who are arguing about the law, they don’t live in those areas. They can pack up and leave but for those who are living there what are they to do?” Figueira said. He pointed out a parent may be forced to “harbour” their child who is in a gang just to stay alive. However, Hackshaw said some parents and guardians are responsible for their children being involved in gangs and they ought to be held responsible. “There are 16 and 17-year-olds who have guns too and they shoot people too. If you can’t control your child you should be held accountable. Sometimes the parent is at fault for the child’s behaviour. Neglect can cause that,” Hackshaw said adding the law will be looked at with urgency. He noted there are extenuating circumstances and that was why officers are “digesting” the law before acting on it. He added the law gives the police a further boost in the fight against crime. Hackshaw said the Police Service, like any other institution, will never have enough resources, but they will use what they have to get the job done. The term “gang leader” is defined as a person who initiates, organises, plans, finances, directs, manages or supervises a gang. A “gang member” means a person who belongs to a gang, or associates himself with a gang related activity and “gang-related activity” means––any offence, an attempt to commit an offence; the aiding, abetting, counselling or procuring of an offence; or a conspiracy to commit an offence. A gang leader once convicted will be sentenced to 25 years in prison while a gang member in the case of a first offence, on summary conviction, will be jailed for ten years, and, in the case of a subsequent offence, on conviction to imprisonment for 20 years. Section 12. (1) of the law states that: A person who harbours a gang leader or a gang member commits an offence and is liable on summary conviction to imprisonment for ten years. (2) For the purposes of subsection (1), where— (a) the gang leader or gang member is a child; and (b) the person convicted is the parent or is acting in loco parentis of the child, the court, in sentencing the person convicted, shall take into consideration mitigating factors such as efforts made by the person convicted to reform or rehabilitate the child. (3) It is a defence for a person charged with an offence under subsection (1) if he proves that he did not know or could not reasonably have known that the person he was harbouring was a gang leader or a gang member. The law also addresses what defines a gang, noting that one does not have to be identified by a name.